All five US network television interview programs featured the same individual Sunday: the newly elected speaker of the House of Representatives, Republican Paul Ryan. The Wisconsin congressman, who was Mitt Romney’s vice-presidential running mate in the 2012 election, was elected speaker Thursday. He succeeded John Boehner, who was forced out by a long-simmering rebellion of an ultra-right minority, the self-styled House Freedom Caucus. Ryan was not portrayed, either in the Sunday interviews or the saturation media coverage of the previous week, as representing a further shift to the right in the US political establishment, although that is certainly the case. Rather, his interviewers treated him deferentially, even affectionately, while presenting him as someone who was generally well-liked among Democrats and Republicans and who was impressive both as a thinker and a policy maker. Much has been made of Ryan’s supposedly pleasant demeanor, as though cutthroat attacks on the poor and on working people were more palatable when accompanied by a smiling face. Liberal Washington Post columnist E. J. Dionne gushed, “he is, from my experience, a genuinely nice and warm person…” Another Post writer, Dana Milbank, noted that as Ryan made his way to the speaker’s seat, he walked among the Democrats, shaking hands and accepting bear hugs and other congratulations. He “offers a glimpse of hope,” Milbank enthused. The congressman’s treatment of working people is anything but “kinder and gentler.” He advocates the replacement of universal social benefits such as food stamps and Medicaid with vouchers whose value will automatically erode with inflation, distributed through state governments that already apply harsh eligibility restrictions and limit social benefits to absurdly low levels. (Alabama, to take one recent example, has slashed the duration of jobless benefits to a mere 12 weeks). In his television interviews, Ryan repeated the theme that congressional Republicans had up to now been “bold” only in their “tactics” in dealing with the Obama administration—a reference to the 2013 federal government shutdown and other efforts to use fiscal deadlines to pressure the White House. Going forward, he said, the Republicans had to be “bold in policy.” By that he means that over the next year, the Republican-controlled Congress must elaborate an ultra-right agenda for the next administration, whether headed by a Republican or Democrat. He singled out tax policy as one main area of work, suggesting that Congress must prepare a sweeping tax cut for the wealthy and for corporations to be implemented by the next administration. 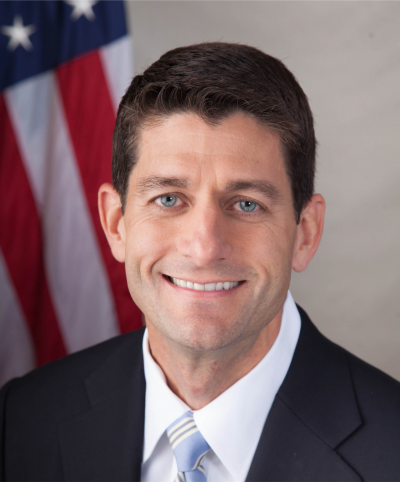 Social entitlement “reform” plans would also be developed, Ryan has indicated. Ryan’s plan for privatizing Medicare is very similar in structure to Obamacare. In place of the present Medicare program, where the government pays medical bills directly and guarantees certain benefits, recipients would be given a voucher to buy private insurance on exchanges established with government assistance. This is precisely the mechanism under Obama’s health care overhaul for dismantling employer-paid health insurance, slashing benefits, raising out-of-pocket costs, rationing health care and increasing the stranglehold of giant corporations over the health care system. The goal in both cases is the same: to boost the profits of the insurance companies, the pharmaceutical giants and the hospital chains by providing them guaranteed markets while slashing the cost of health care for the government and private business. Ryan was elected speaker one day after the House adopted a bipartisan budget plan that significantly boosts military spending while introducing major cuts in Social Security disability payments and Medicare reimbursements to hospitals and other providers. It also maintains the so-called “sequester” caps on domestic spending with only minor adjustments for the 2016 and 2017 fiscal years. The budget deal was ratified by the Senate early Friday morning and sent to Obama for his signature. The American political structure under Obama has moved so far to the right that what was denounced in 2011 as right-wing radicalism provided for higher levels of social spending than the bipartisan compromise of 2015. Ryan’s elevation as speaker is a warning to the working class: policies once thought completely out of bounds, politically too dangerous to enact because the American people would rise up in anger, are now considered not only possible, but absolutely necessary. Driven by the deepening global crisis of capitalism, the US ruling elite is preparing to wipe out what remains of a social safety net and destroy programs like Social Security, Medicare, Medicaid and food stamps that are the only things protecting tens of millions of people from poverty, disease, hunger and an early death.